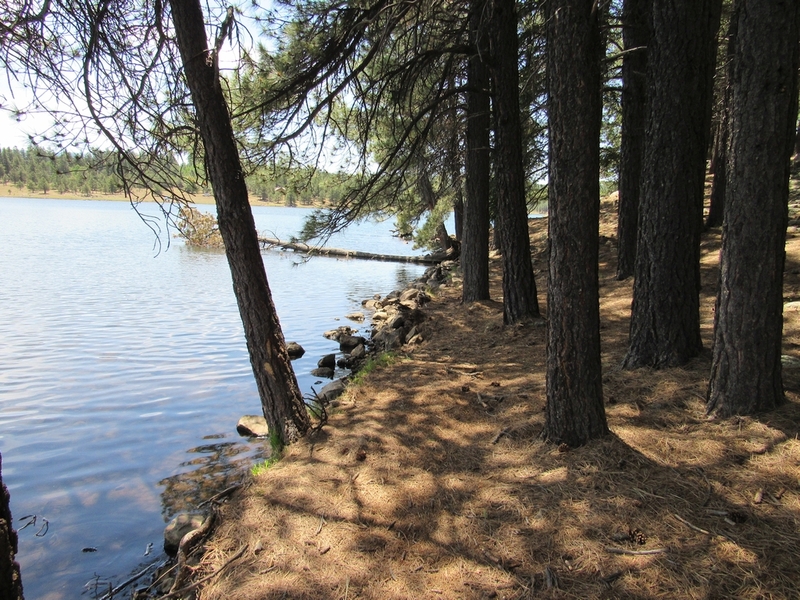 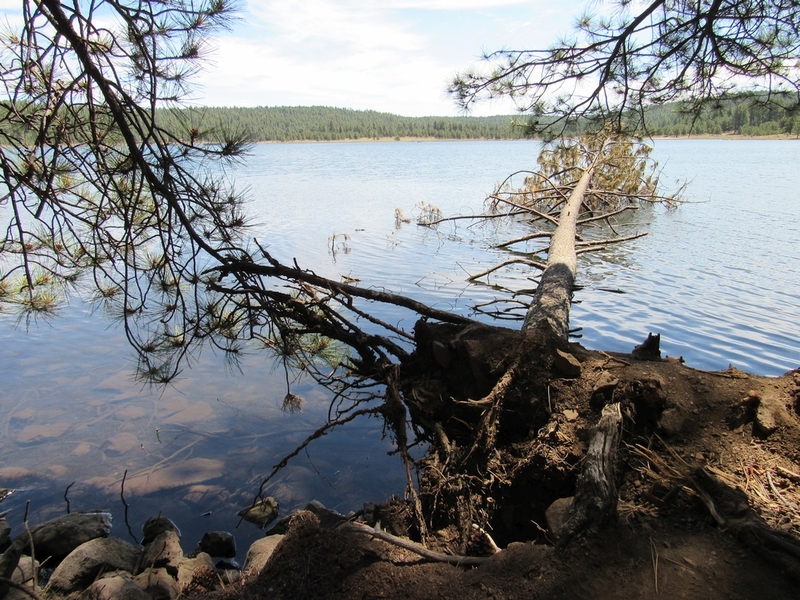 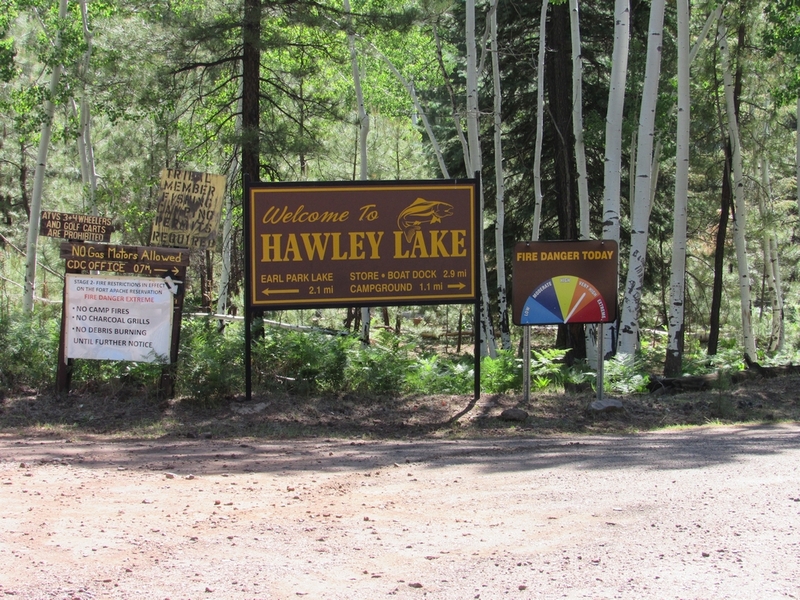 Hawley Lake Campground is located about 9 miles south from Hwy 260 between McNary and Eagar. 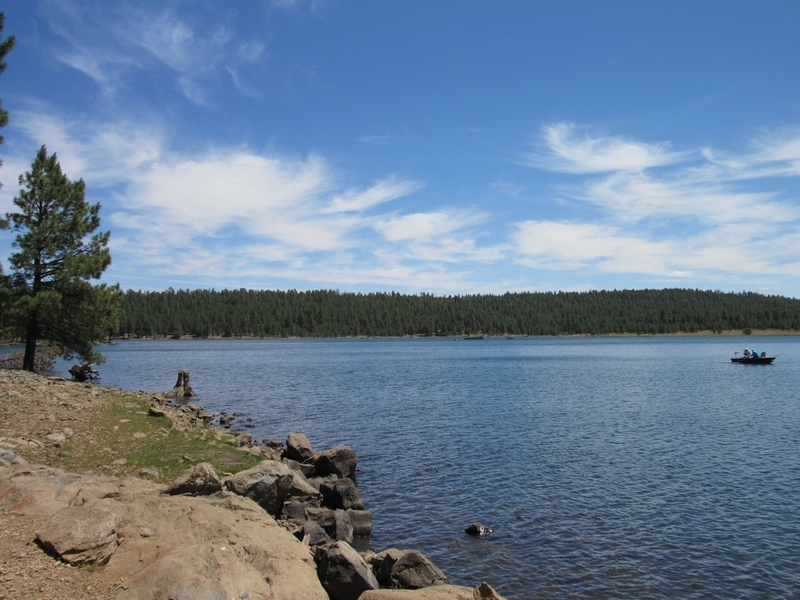 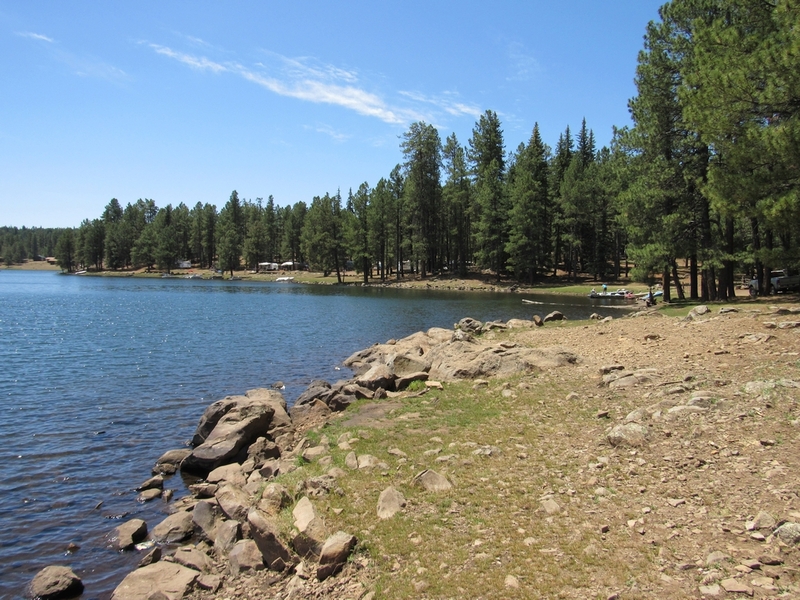 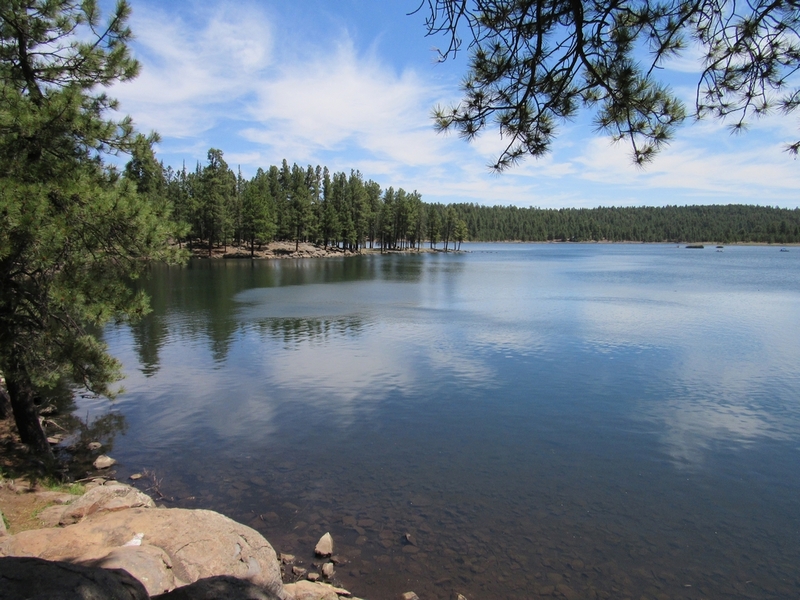 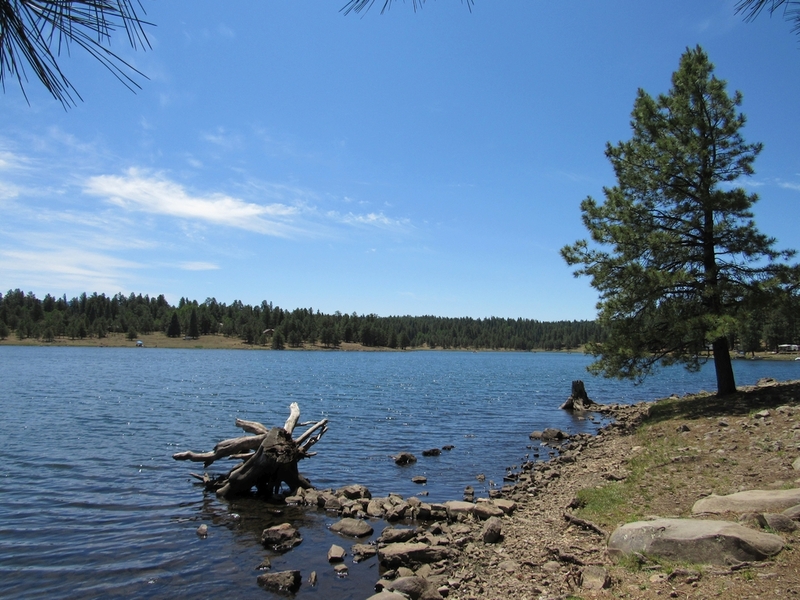 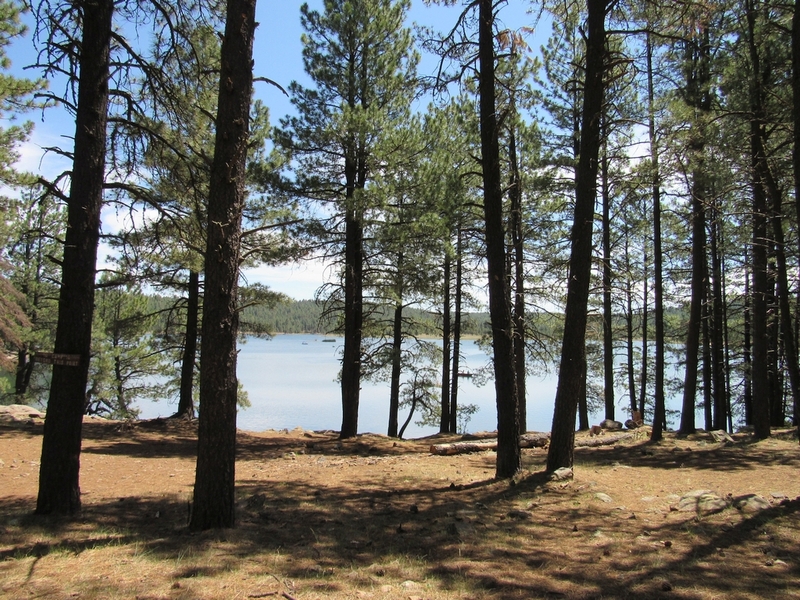 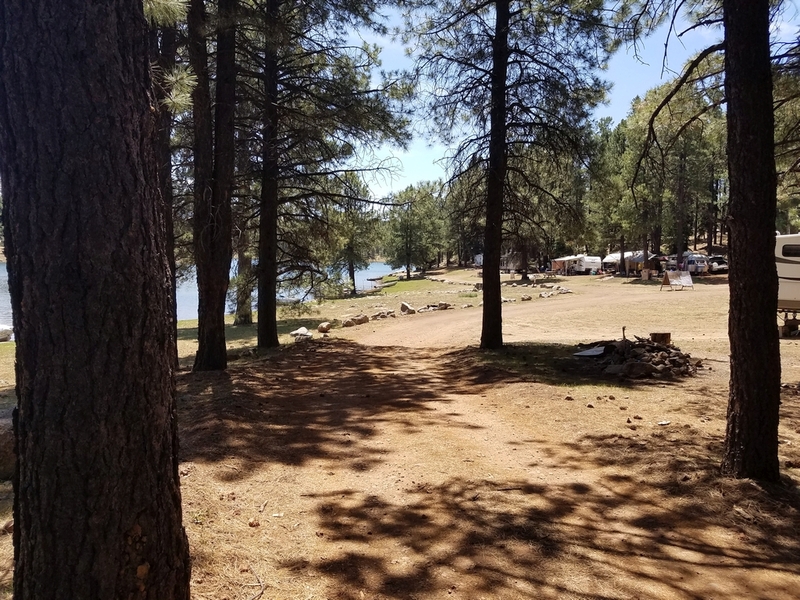 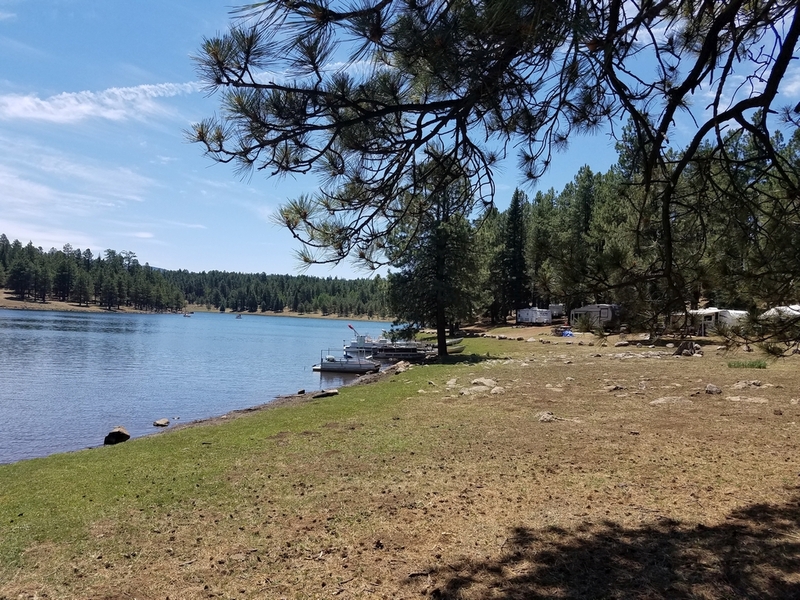 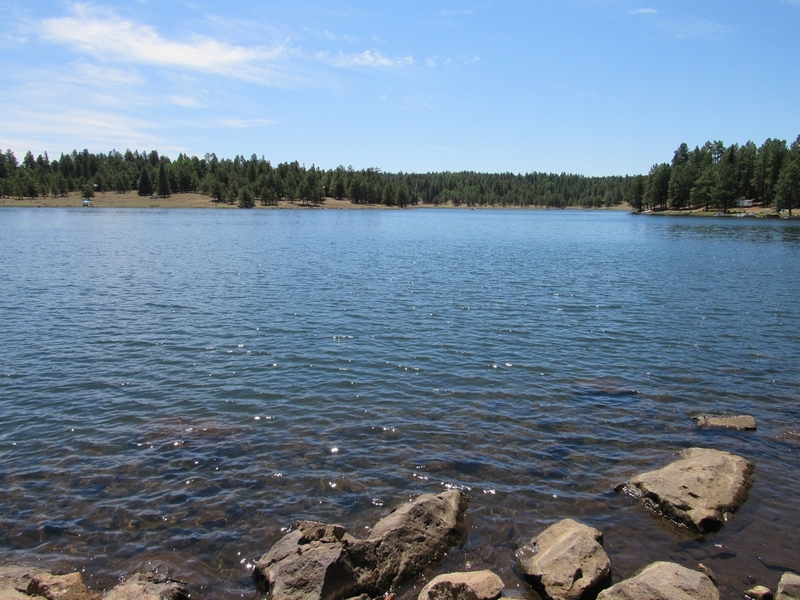 Hawley Lake is one of few lakes on the Fort Apache Indian Reservation with maintained campgrounds. 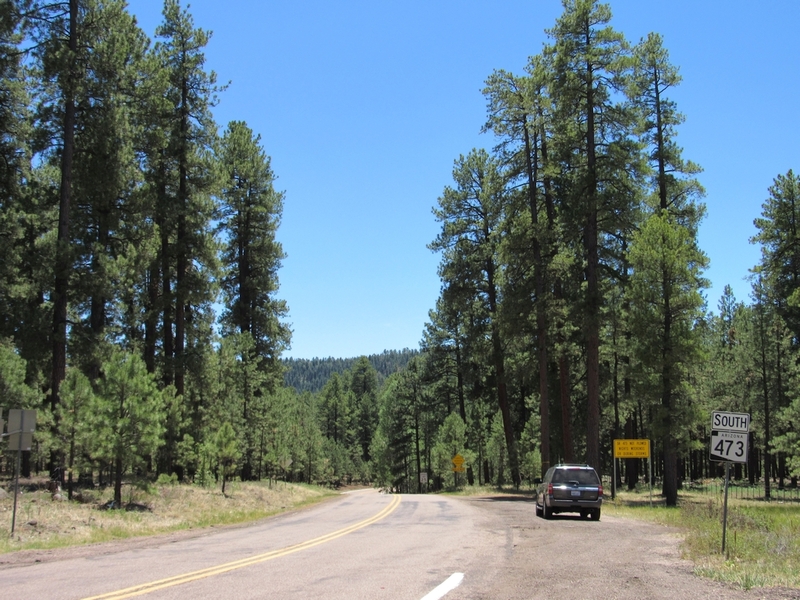 Follow road signs on Hwy 260 and turn onto SR 473 as it winds away from the highway through some beautiful pine forest. 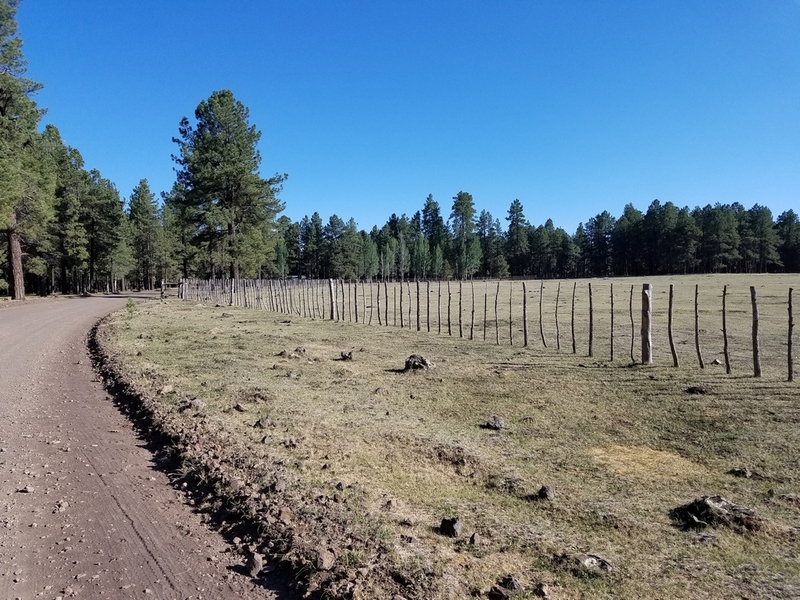 Watch out for wildlife and free grazing cattle. 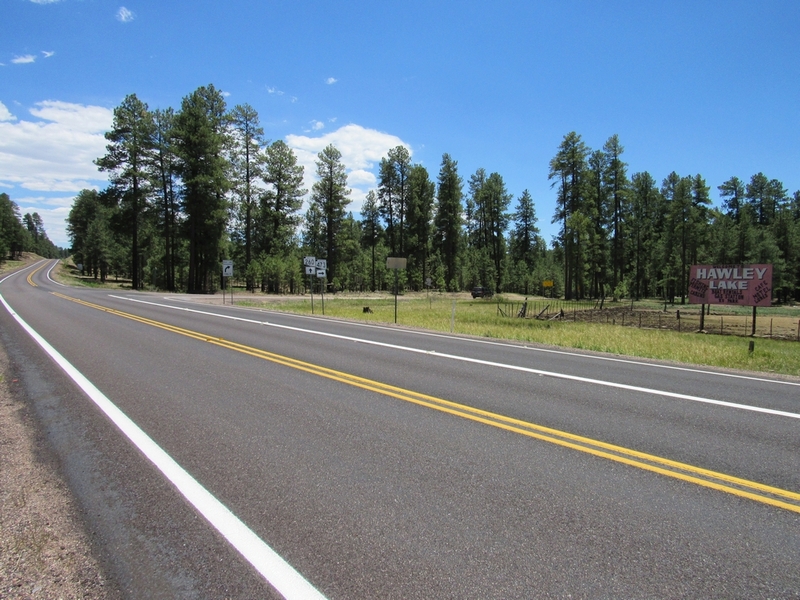 Obey posted speed limit as animals could run across the road at any moment. 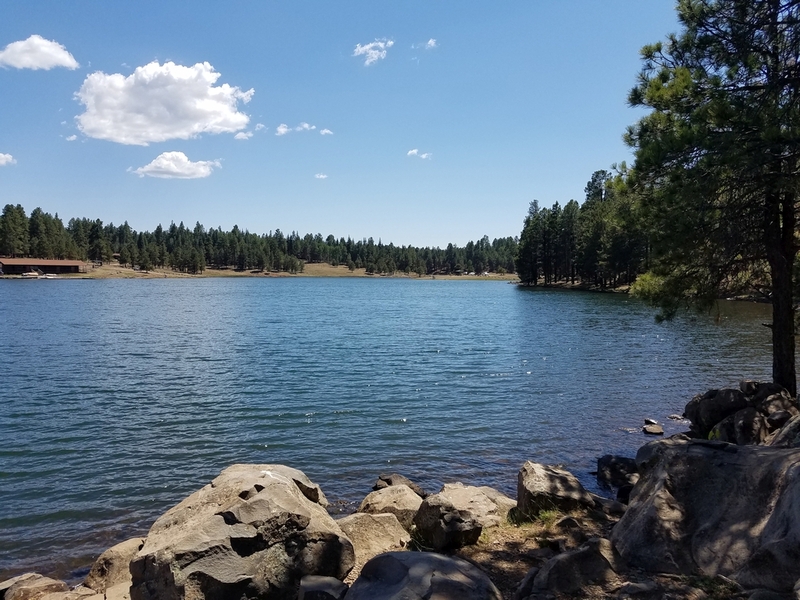 But do enjoy the view. 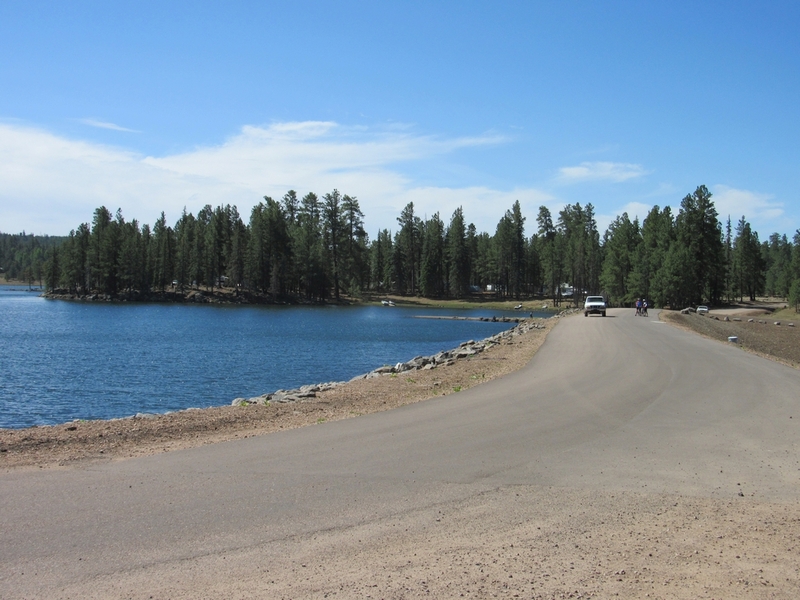 As you approach the lake you’ll drive by a couple of boat ramps and over a dam. 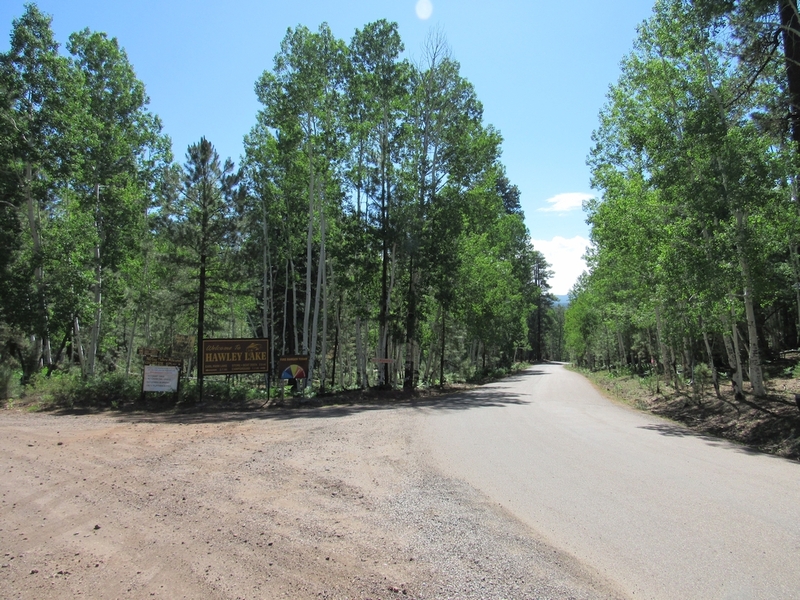 Bear left after the dam to go to the campground or right if you wish to drive around the lake to the store and the cabins. 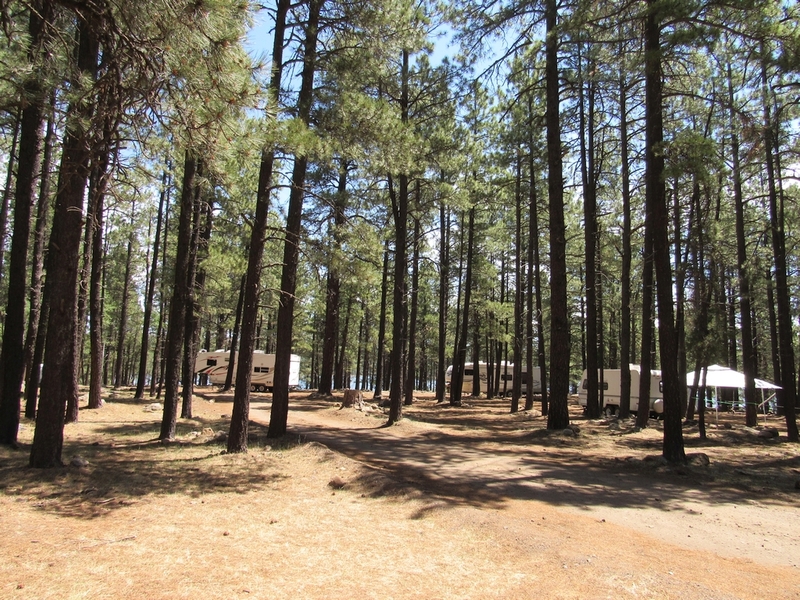 The campground has about 100 sites, however most of them have campers and trailers parked all summer long. 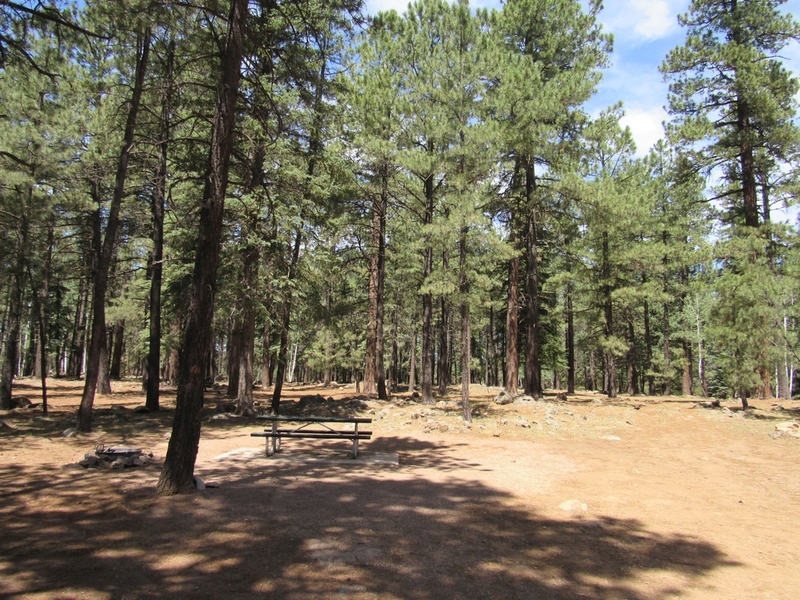 You should still be able to find an open campsite as long as you avoid a busy holiday weekend. 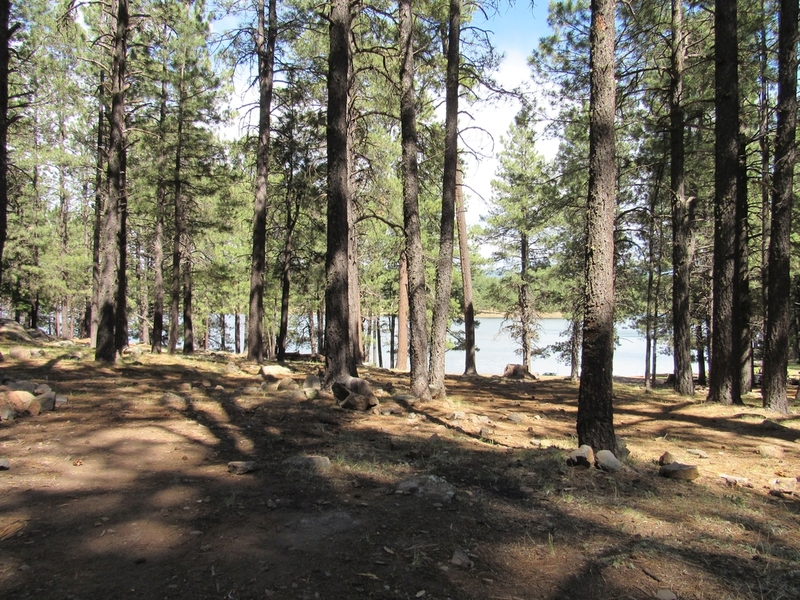 There are no reservations, most campgrounds on the reservation are first come first serve. 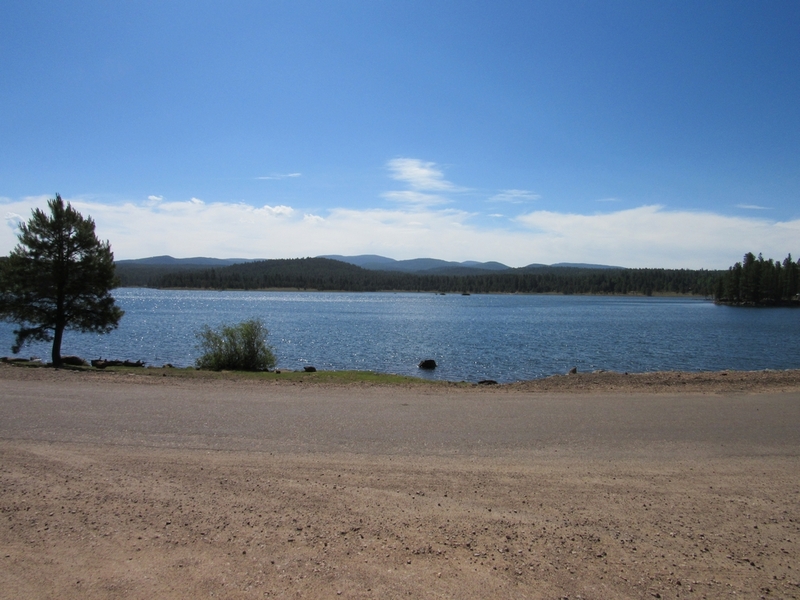 You do have to remember that camp hosts at any reservation campground can’t sell you permits. 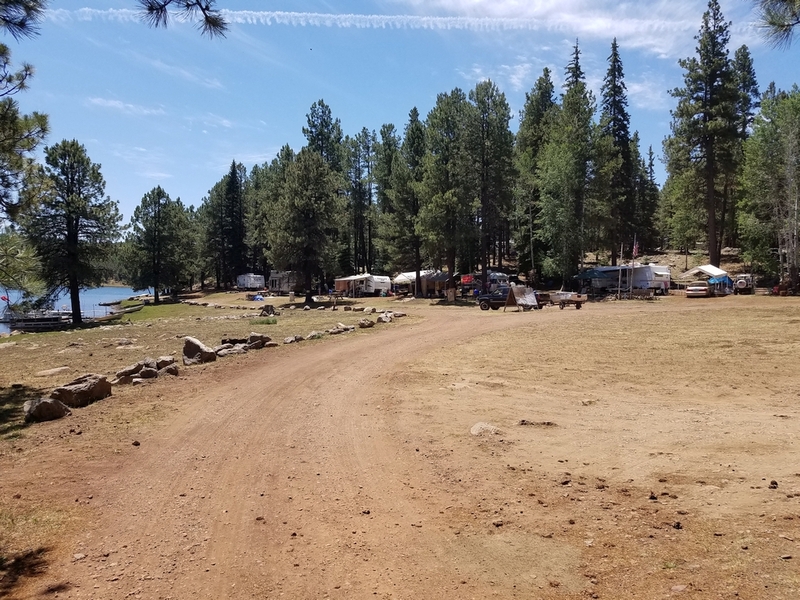 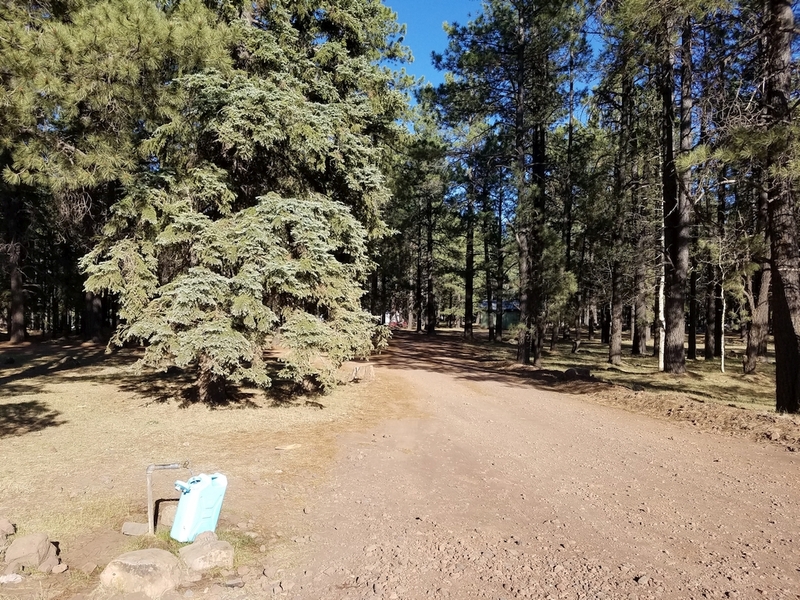 All permits, including camping, fishing, boating, recreation and hunting, need to be purchased at selected locations, for your entire stay, prior to arriving at the campground. 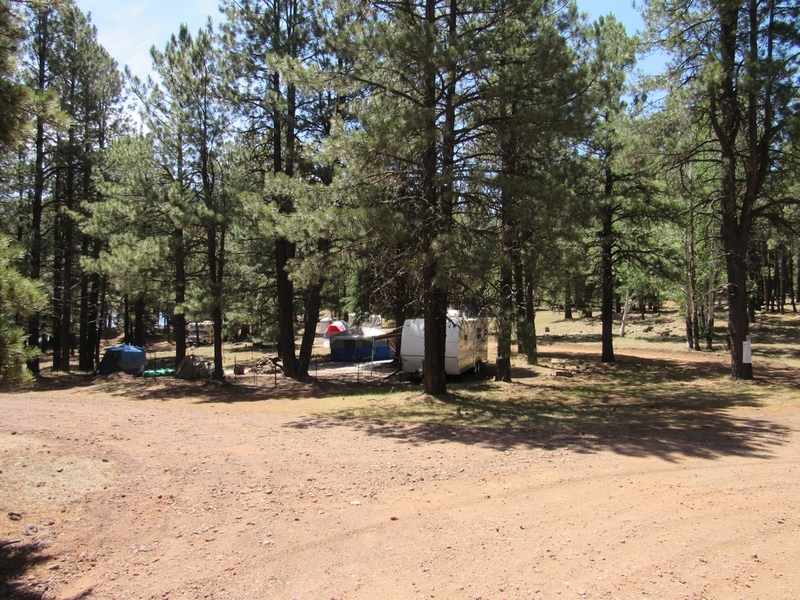 One convenient location is at the Hon Dah store. 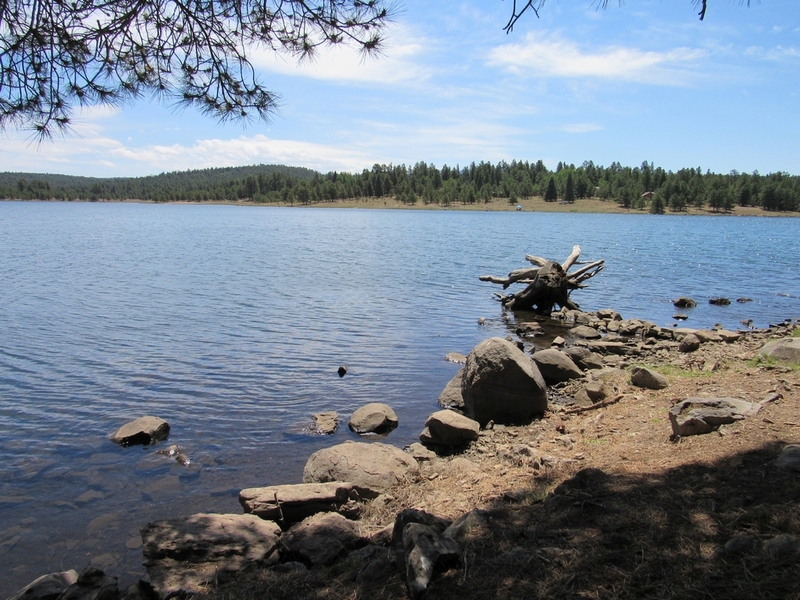 For exact rules and regulations regarding camping and fishing, especially if it’s your first visit to the Reservation, grab yourself a free visitors guide while you’re buying permits. 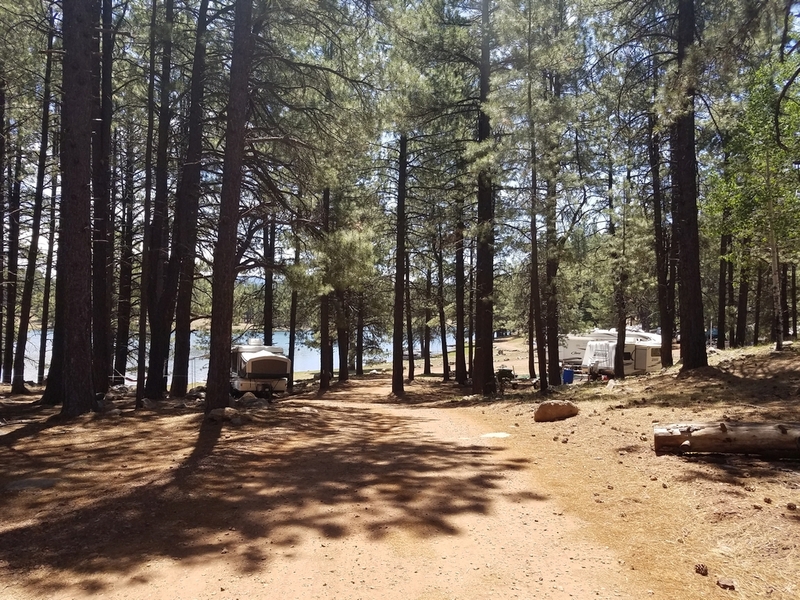 Finding the camp hosts at this particular campground is not very easy since their trailer is located right on the water in the middle of the campground. 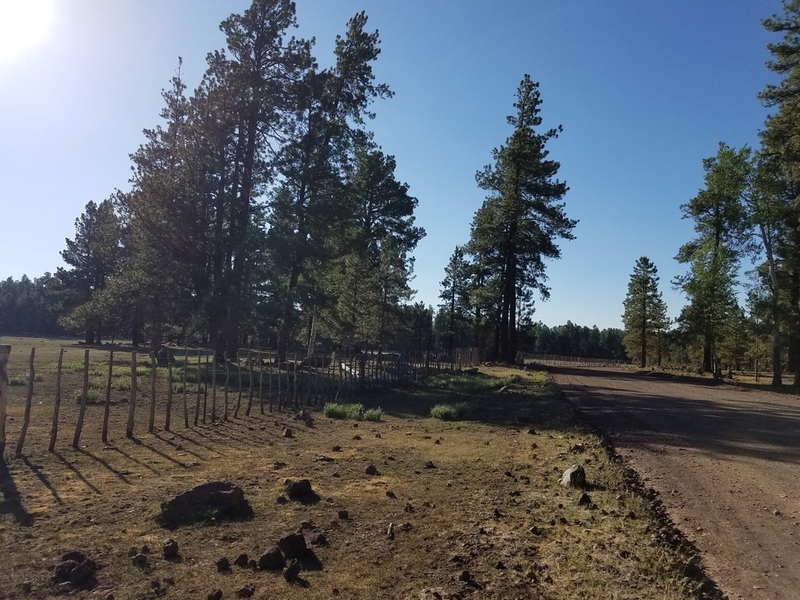 You just need to folow the dirt road for awhile. 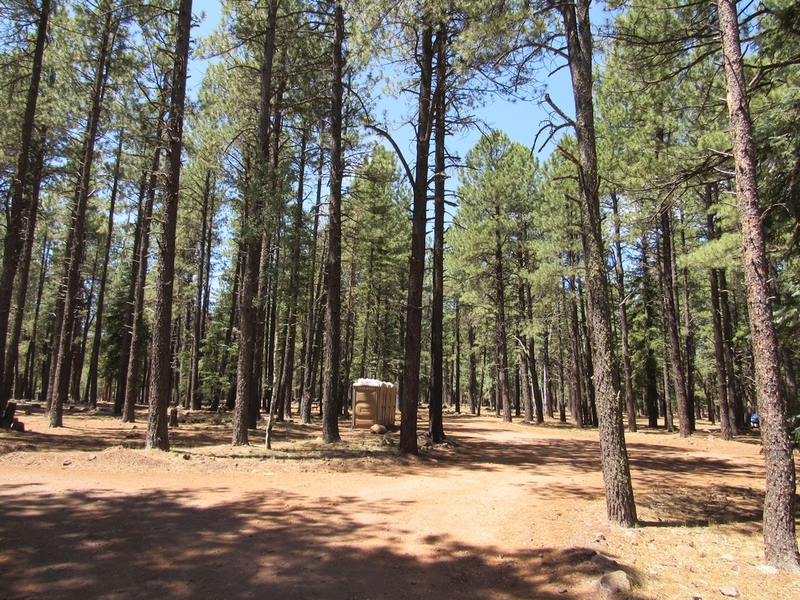 There are water faucets and porta potties throughout the campground. 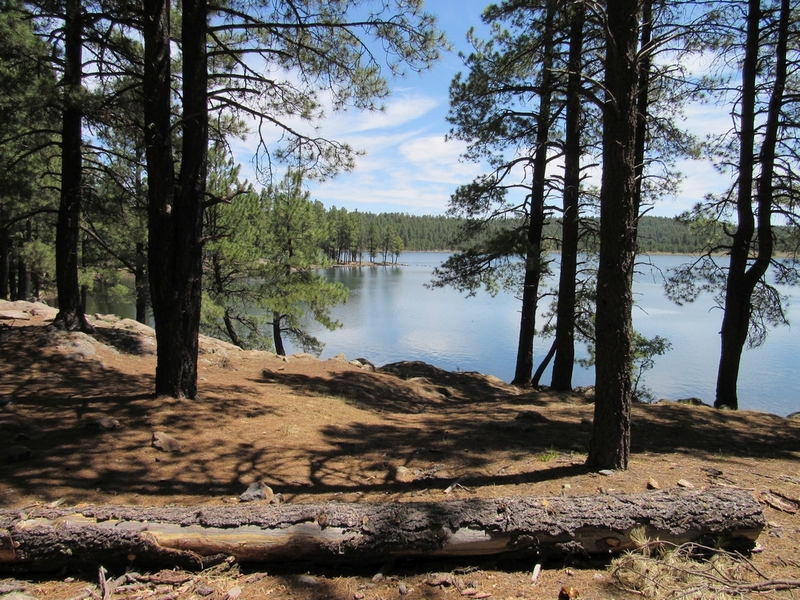 You might be able to find a campsite with a picnic table and a view of the lake. 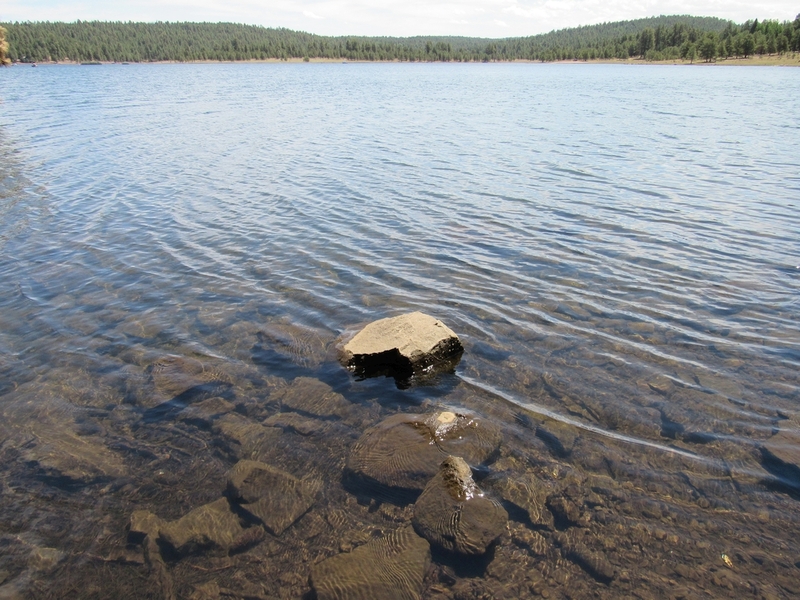 In the summer, on a clear night, you will get a great view of the rising moon reflecting on the surface of the lake. 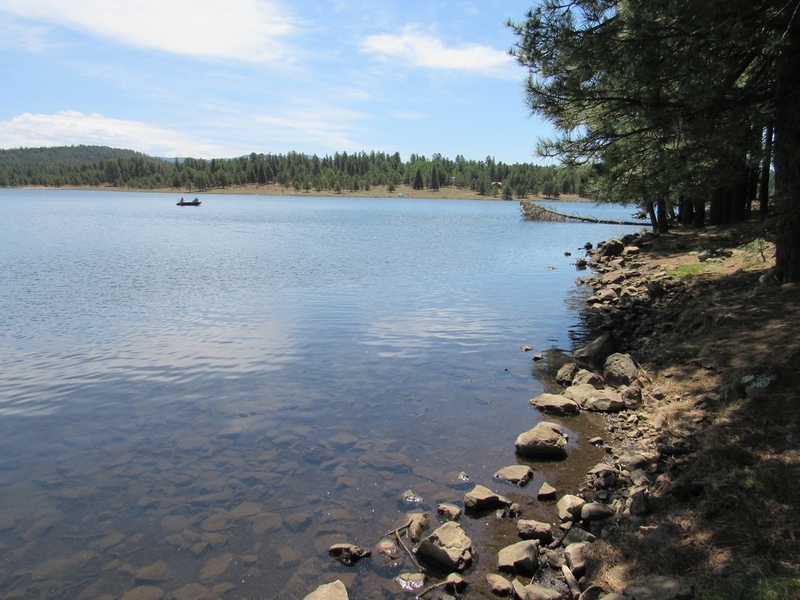 The lake has a very long shore with many great fishing spots. 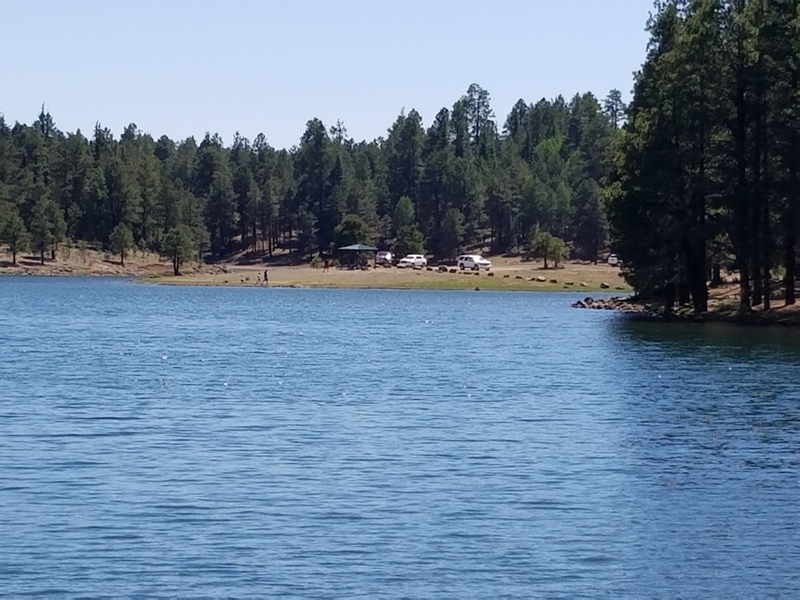 In the summer you’ll get best results fishing off the boat, but if you fish off the shore you will most likely catch some fish as well. 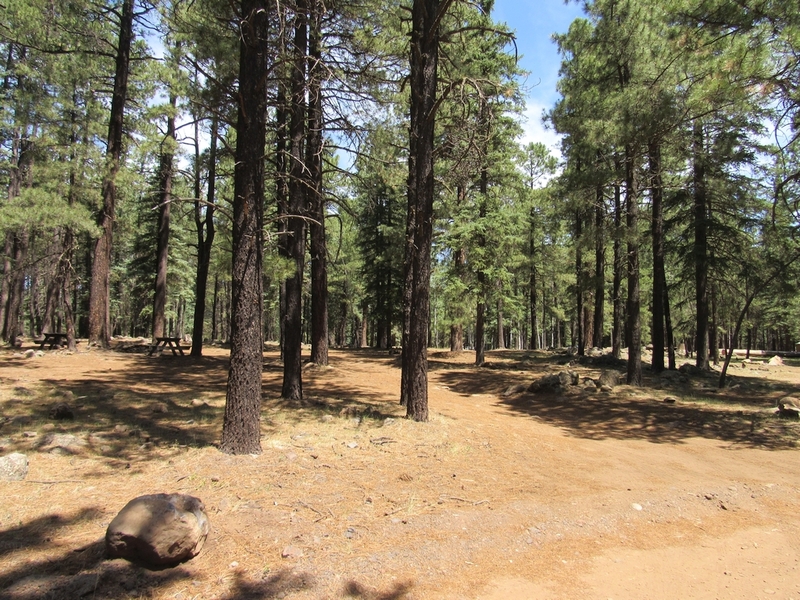 At night you will most likely hear wildlife throughout the campground and in the distance. 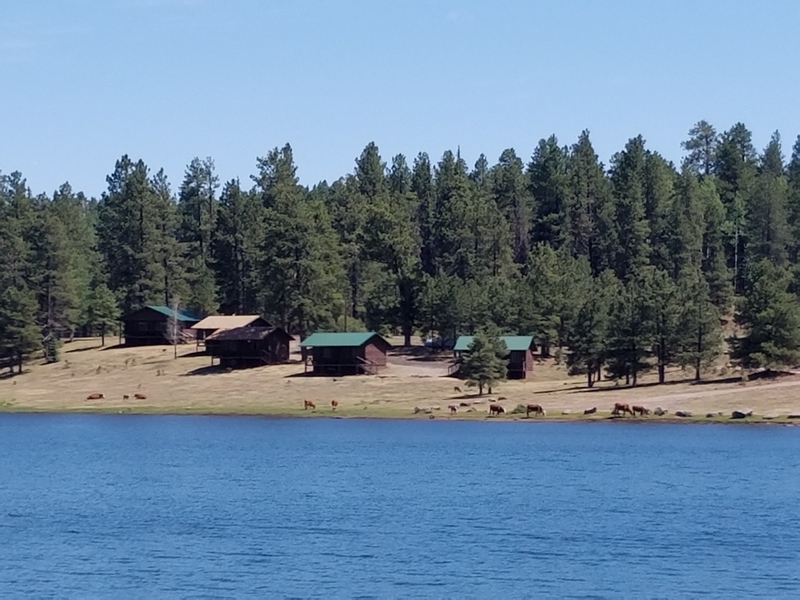 There are cattle grazing freely everywhere on the reservation, including right next to your tent or camper, both day and night. 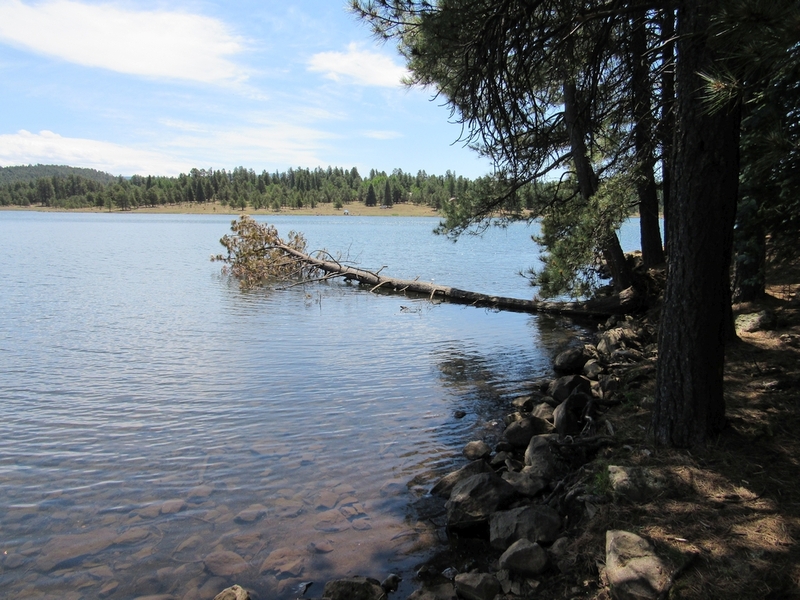 They are not aggressive but they definitely act like they own the place. 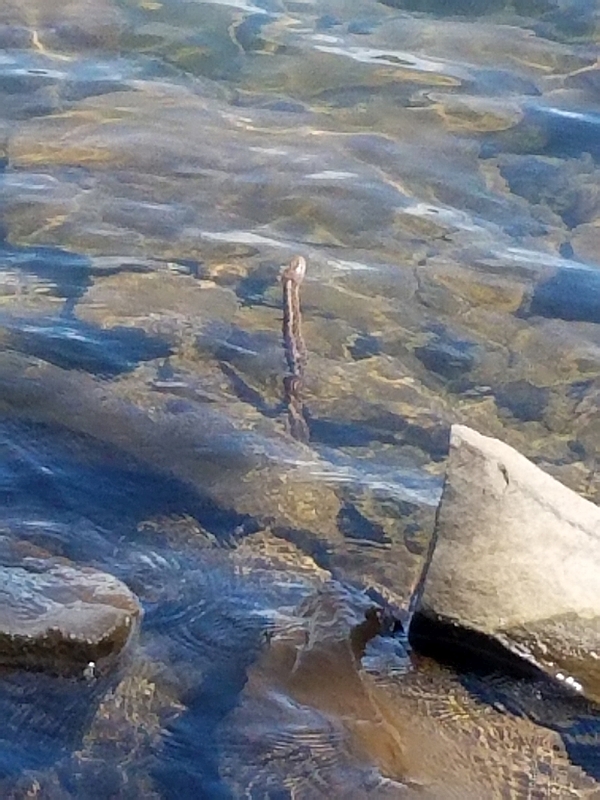 Don’t be freaked out by their presence but also try not to startle them. 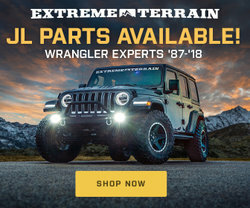 They’re just passing through. 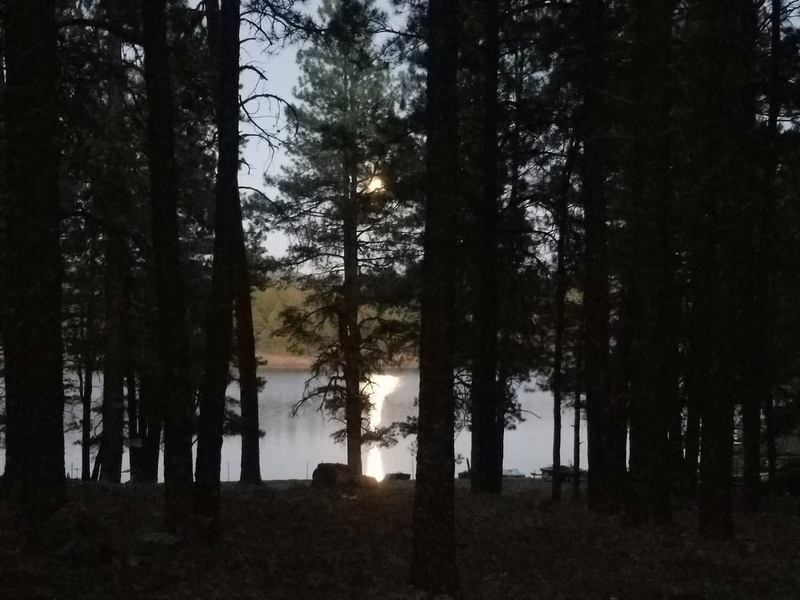 On a quiet night you will most likely hear squirrels running around, owls and possibly wolves howling, roaming the distant, closed areas of the reservation. 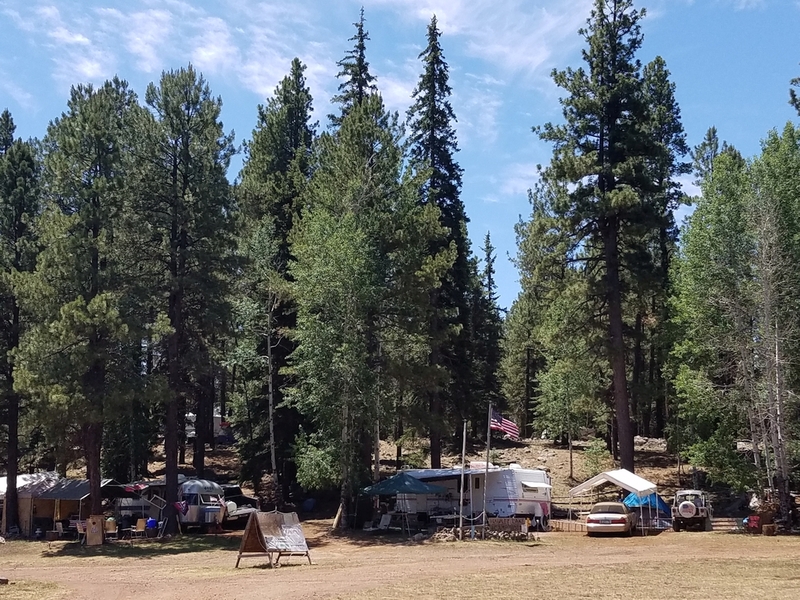 The campground is separated from open fields and wilderness to the west with a primitive barb wire, but at least there is a barrier if you feel nervous. 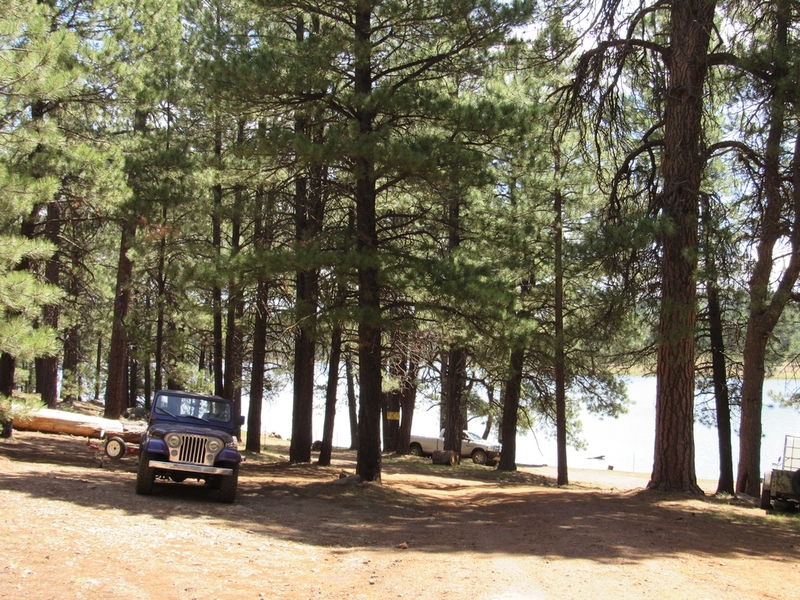 As far as your camping neighbors, it all depends on the exact time of your visit. 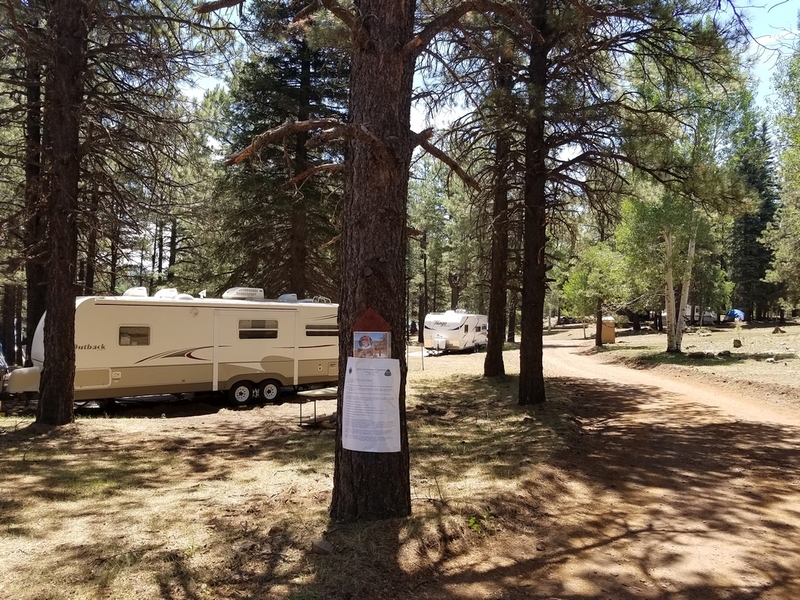 Camp hosts always mention to let them know if anyone is disturbing the peace. 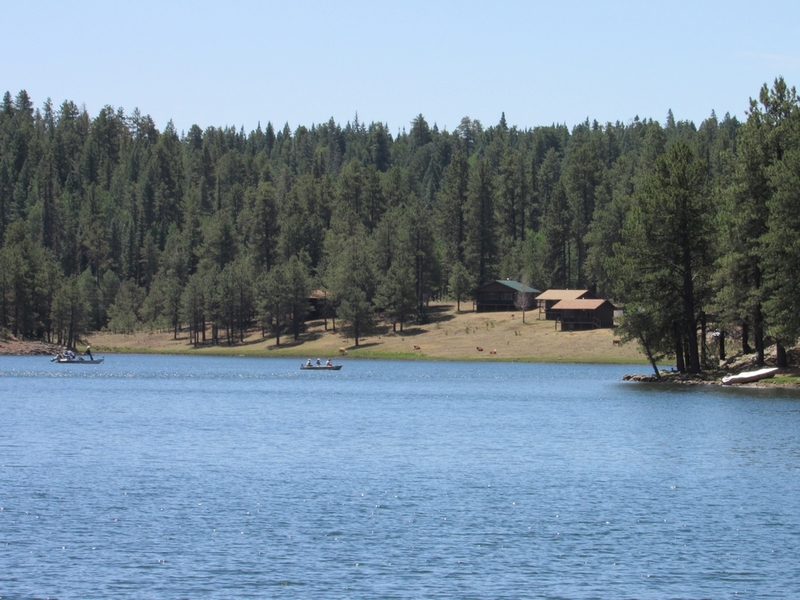 All in all, it’s a nice place to camp at the lake, I would recommend visiting if you’ve never been here before.